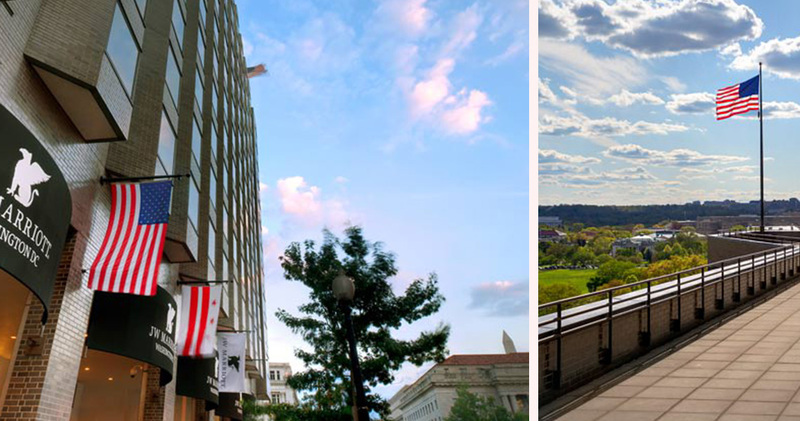 JW Marriott Washington D.C. is located steps away from attractions like the White House and National Mall. 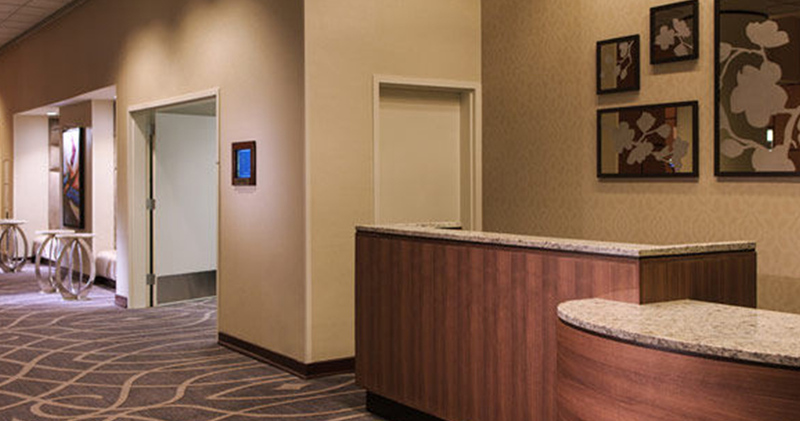 The hotel has a quiet, sophisticated ambience with muted colors and elegant lighting. 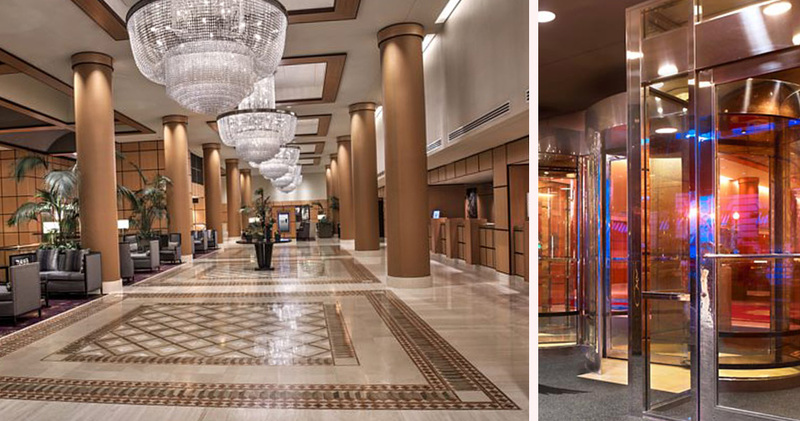 The two-level lobby and atrium is open and expansive, featuring hardwood and gold finishes, grand pillars, rich rugs, beautiful chandeliers and several seating areas. A Starbucks Coffee outlet is located in the lobby, providing easy access to refreshments. 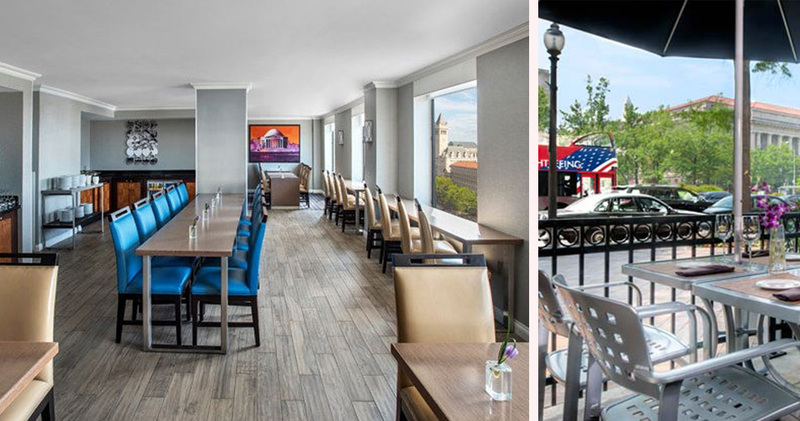 Hotel JW Marriott has an outdoor patio where guests can enjoy their drinks while enjoying city views. Guests can also choose to relax at the hotel’s heated indoor pool and whirlpool. 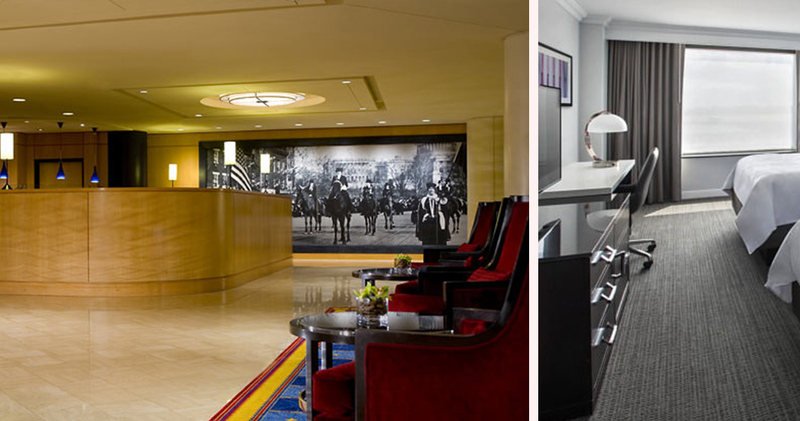 The guestrooms at JW Marriott Washington D.C. are modern, inviting and sophisticated. Featuring a cool grey and white color palette, they exude gentle elegance. 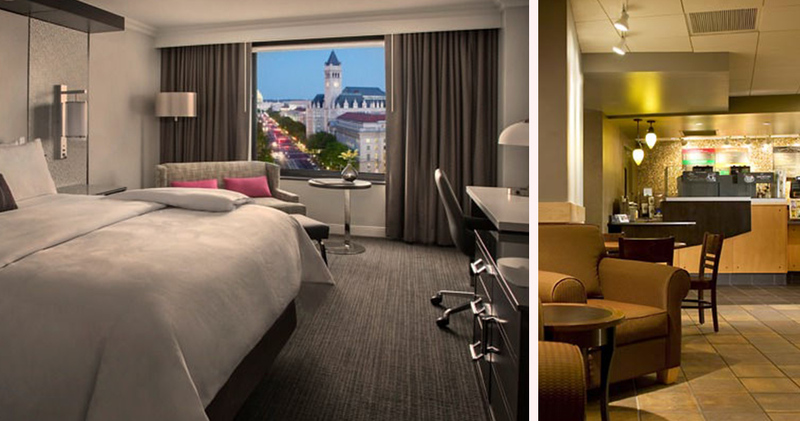 The large windows provide plenty of light, and many of the guestrooms offer beautiful downtown views. Guestrooms feature a modern desk and chair, plush oversized armchair and ottoman and plenty of storage space. All beds feature rich cotton linens, custom duvets, feather pillows and down comforters. 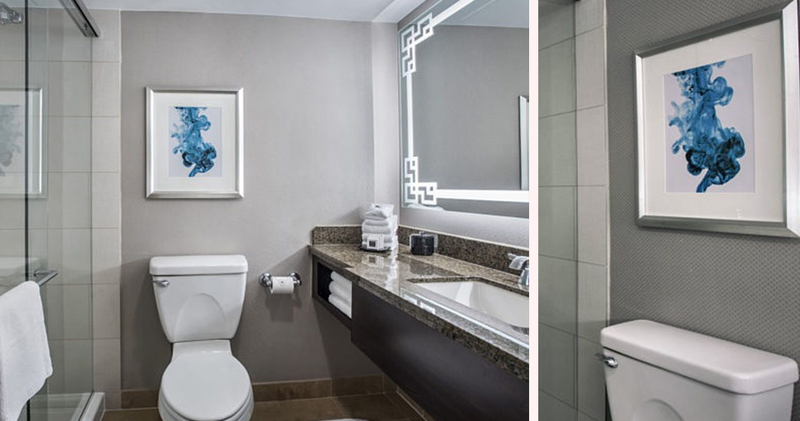 The bathrooms at Hotel JW Marriott feature granite vanities, modern artwork and a grey and white color palette. 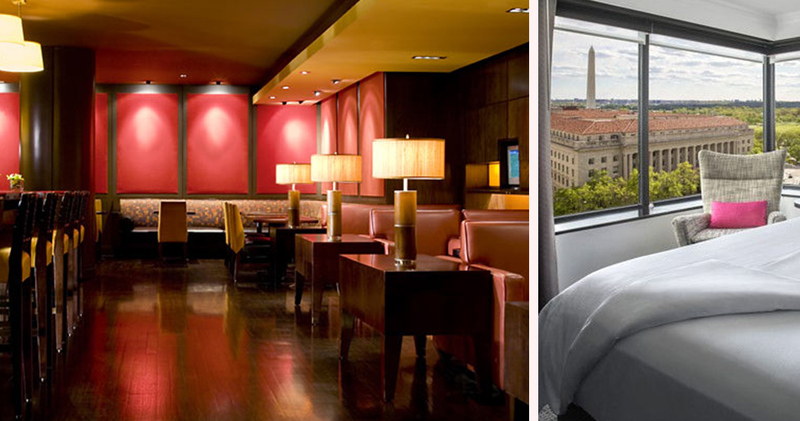 Avenue Grill at JW Marriott Washington D.C. is a laid-back restaurant offering beautiful Pennsylvania Avenue views. The restaurant serves classic American grill cuisine. 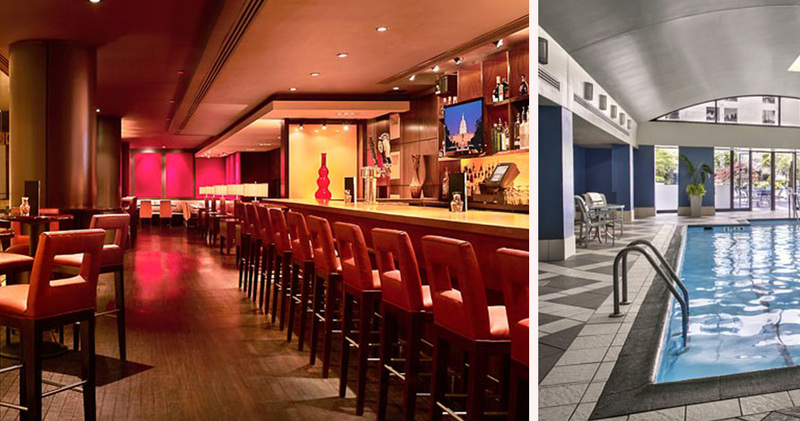 The hotel is also home to 1331 Lounge, a modern and space with red leather booths and a casual American menu.